The wedding is that important day for any girl, which she would love to cherish all life and about which she dreams to have everything so perfect and unique. When every girl wishes to look stylish and different from all other brides, then why always to go for a white wedding gown? Instead, wearing other colors can leave you looking stunning and gorgeous. 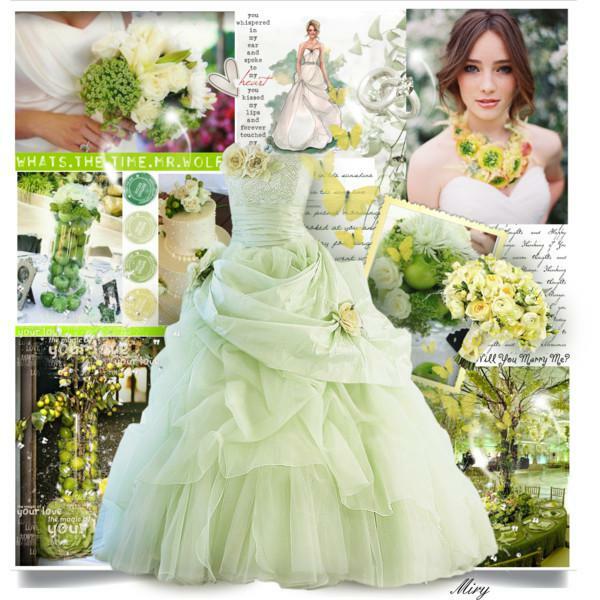 For the summer wedding, the soothing and refreshing light green color will do the trick. Let us see how you can add this amazingly charming and attractive hue to your bridal look. The wedding dress – You can choose to wear a simple laced light green colored wedding dress, or you can wear a floral designed dress where the leaves of the flowers will incorporate this hue to your special dress. Accessories– Choosing to wear green colored footwear, or carrying a green hued clutch/purse will render the desired look in green. Jewelry– You can choose to wear emerald jewelry. 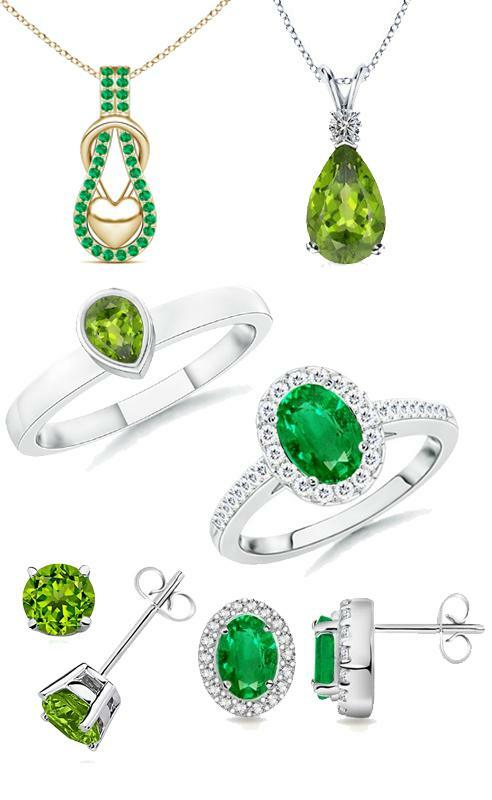 If cost is the factor, then nothing will beat the green glamour of peridot rings and other jewelry. This will be pocket friendly option to include green color in your jewelry. 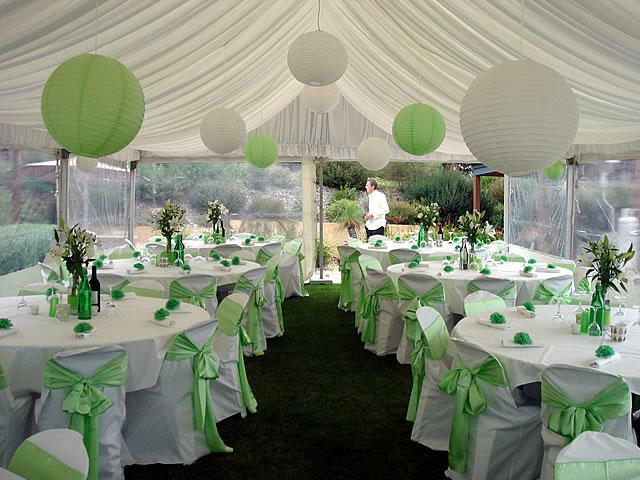 Decoration– Another exclusive way to let the ambiance compliment your green dress will be adding some green hue here and there. For example, you can add this hue to your wedding cake or the decoration of the venue.